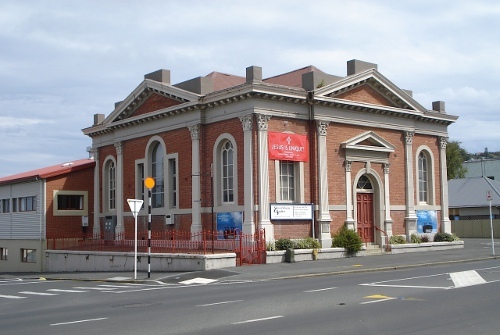 You'll find us in the heart of Caversham, in Dunedin. We're in the brick building on the corner of Surrey Street and South Road. 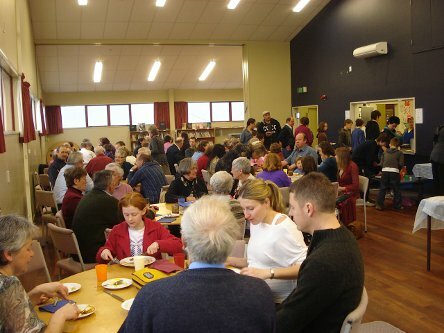 Attached to the brick building (auditorium) is a modern kitchen (great for catering) and hall (see photo), and downstairs are several rooms of various sizes that are used for all sorts of meetings, play groups and activities. These are all available for hire. There's plenty of room for parking on site and on the streets around the church, and a ramp makes access easy for those who have a bit of trouble getting about.